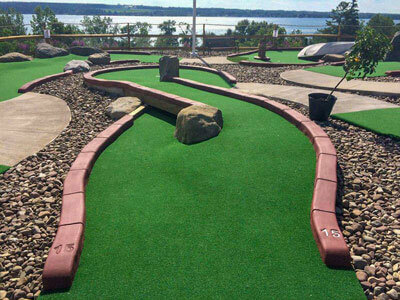 Horwath Miniature Golf Courses understands the importance of having the best money can buy. We worked hard and long to come up with “The Camp Putter”. This is a great 9 hole miniature golf course that will impress everyone, especially the one paying for it. 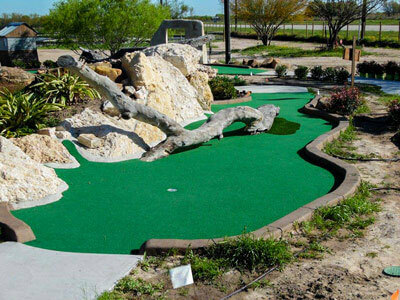 The Camp Putter miniature golf course includes a custom design to fit your site and needs and starts at $55,000.00. This miniature golf course is budget minded in price but not in quality. You get the humps, bumps, boulders and much more. 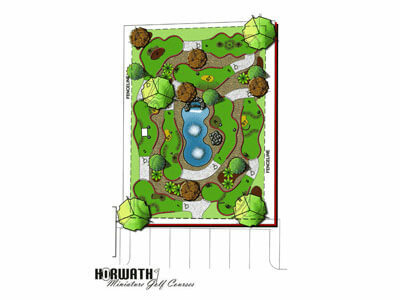 Every miniature golf course built by Horwath Miniature Golf Courses ensures you will get the best money can buy. Owner Bob Horwath with his over 35 years of mini golf building experience is on every job. We do not send subcontractors to complete your project. This course is perfect for campgrounds, RV parks, day camps, and even indoors. Give Bob a call at Horwath Miniature Golf Courses to discuss your needs.